Georgia Expo was established in 1986 and is your one-stop shop for Pipe, Drape, and Event Equipment needs! We produce and sell all types of exhibition products including Pipe, Drape, Back Wall, Room Partitions, Room Dividers, Table Skirting, Stage Skirting, Expo Tables, Crowd Control Stanchions, Easels, Disposable Waste Containers, Storage Solutions and more! We are known for our outstanding quality, hard to beat prices, and exceptional customer service. Georgia Expo is the authority on everything Pipe and Drape. 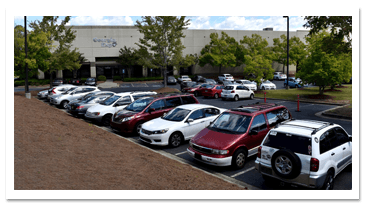 Our factory and main office are located in Suwanee, Georgia. We are just about 30 minutes north of Atlanta. 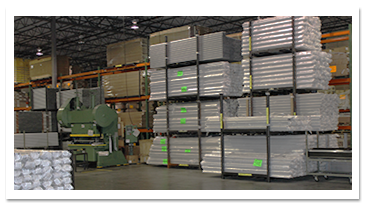 Being located so close to a large metropolitan area gives us the significant advantage of getting our products to you both economically and conveniently. With the amount of competition in the freight industry and a dedicated freight specialist on staff, we are able to shop not only for the best prices, but the best companies to ship your products in time for your event. We produce and sell trade show and event equipment and our products run the gamut on all things exhibition related. However, our most popular product by far is Pipe and Drape. We like to say that Pipe and Drape is the best way to define space. It has been for the past 30 years, and continually serves as an inexpensive, efficient, and remarkably elegant way to accentuate and stylize any affair. 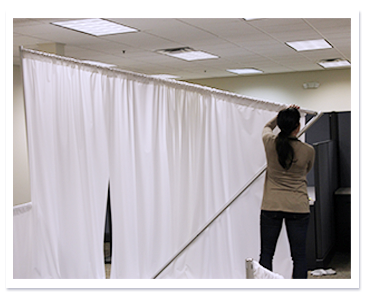 Although you may or may not be familiar with the term Pipe and Drape, you’ve definitely seen it in use. It’s everywhere: trade shows, graduations, parties, weddings, and places of worship. Even U.S. Presidents use Pipe and Drape as backdrops for their public speeches. Georgia Expo is able to handle the needs of just about every event or floor plan, but we don’t just stop at Pipe and Drape; in fact we carry an extensive line of related exhibit and decoration products such as velour drape panels, easels, crowd control stanchions paired with velour rope, exposition tables, table skirting, stage skirting, storage solutions, photo booths, telescoping uprights, and much more! We really do have a variety of products to fit every company’s need or event. We offer both the highest quality standards and unbeatable low costs. Our employees are dedicated to exceptional customer service and never settle for second best. Here at Georgia Expo, we build lasting relationships whose foundations are steeped in outstanding workmanship, quality materials, experienced sales and service personnel, and competitive pricing. We act as the consultant on our event products and will work with you to make sure you are getting exactly the best fit for your event. We are in the business of providing you with what you need.